The Washington Post was accused of spreading fake news after it published inaccurate reports regarding Russian hacking of the US electricity grid. Is this really fake news? 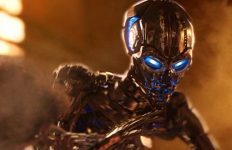 We detected the malware in a single Burlington Electric Department laptop not connected to our organization’s grid systems. We took immediate action to isolate the laptop and alerted federal officials of this finding. 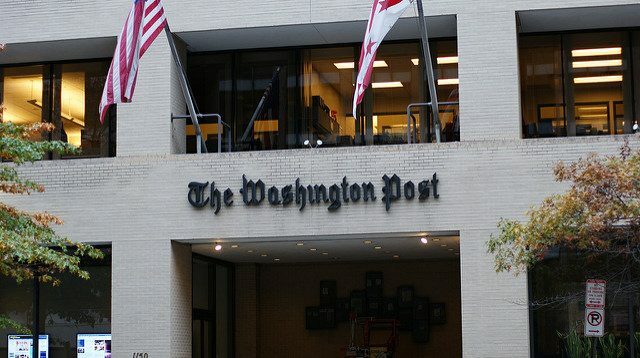 As a result its inaccurate report, the Washington Post was soon accused of spreading fake news by right-wing websites such as Breitbart and Infowars, with headlines like “Washington Post’s Fake News of Russian Vermont Power Plant Hack” and “Washington Post Latest Blunder Proves Fake News is Fine… If it Involves Russia“. These websites have defended US President Donald Trump against accusations of spreading fake news, and supported him in his efforts to label news outlets such as CNN as spreaders of fake news after they sought to link him to Russian hacking in the lead-up to last year’s US election. Putting aside the motives of the right-wing websites in claiming that the Washington Post spread fake news, does the inaccurate article “Russian hackers penetrated U.S. electricity grid through a utility in Vermont, U.S. officials say” actually constitute fake news? It’s okay to criticize the newspaper for wrongly reporting that Russia hacked the U.S. power grid, just don’t confuse it with fake news. A paper in the Proceedings of the Association for Information Science and Technology2 identifies three types of fake news: serious fabrications, large-scale hoaxes, and humorous fakes. Intentional deception is considered a defining factor for all three types. 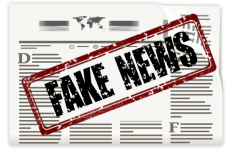 An article in the Huffington Post identifies five types of fake news: 100% false, slanted and biased, pure propaganda, misuing the data, and imprecise and sloppy. There is no reference to “intent” as a defining factor in any of these types. A Pennsylvania State University Library Guide states that: “The term [fake news] is most often used to describe completely fabricated stories, but can also be applied to a broader continuum of news. ​Many news outlets will exhibit some form of explicit or implicit bias while not falling into the fake news category.” Fake news is defined in the guide as “Sources that intentionally fabricate information, disseminate deceptive content, or grossly distort actual news reports’, and as being separate from six other types of inaccurate or misleading reporting: satire, bias, rumor mill, state news, junk science, and click bait. 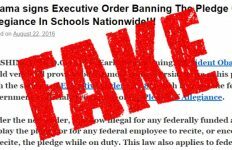 The two academic papers in this list clearly identify that intentional deception is a key aspect of fake news, as does a university library guide, so on balance it appears that the Washington Post article is false news, rather than fake news. It was not until almost a full hour after the Burlington Electric Department’s official press release that the Washington Post finally updated its article, changing the headline to the more muted “Russian operation hacked a Vermont utility, showing risk to U.S. electrical grid security, officials say.” This is important, as a driving force of fake news is that as much of 60% of the links shared on social media are shared based on the title alone. While the article was amended and considerably enlarged, the publication date remained unchanged and no editorial note was appended, meaning that readers would have no way of knowing the article they were seeing was in any way changed from the original version. Only after numerous outlets called out the Post’s changes did the newspaper finally append an editorial note at the very bottom of the article more than half a day later. But the correction is not a true reflection of public facts as known. The original story mentioned that there were only two major power utilities in Vermont and that Burlington Electric was one of them, meaning it would have been easy to call both companies for comment. However, it appears that this was not done. While arguably not fake news, the article shows that the Washington Post is happy to rush to run sensational articles without adequate fact checking, and that it’s not keen to admit mistakes when they’ve been made. The Washington Post is regarded as a leading daily US newspaper, but at present it isn’t living up to this reputation. Header image source: The entrance to the Washington Post on 15th street Northwest DC by Dion Hinchcliffe is licenced by CC BY-SA 2.0.